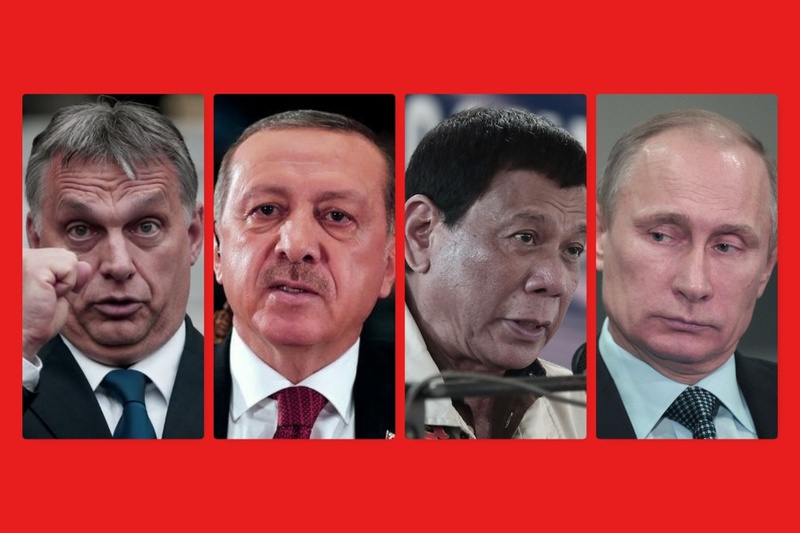 DUTERTE TIME MAGAZINE's "RISE OF THE STRONGMAN"
TIME MAGAZINE on its May 14, 2018 international edition labeled President Rodrigo Duterte is among the "strongmen" leaders including featured Russian President Vladimir Putin, Hungarian Prime Minister Viktor Orban, and Turkey President Recep Tayyip Erdogan. Ian Bremmer, the writer said "In every region of the world, changing times have boosted public demand for more muscular, assertive leadership. These tough-talking populists promise to protect 'us' from 'them.' Depending on who’s talking, 'them' can mean the corrupt elite or the grasping poor; foreigners or members of racial, ethnic or religious minorities. Or disloyal politicians, bureaucrats, bankers or judges. Or lying reporters. Out of this divide, a new archetype of leader has emerged. We’re now in the strongman era." He characterized Duterte as "a former mayor who talked more like a Mob boss than a President, on his promises to wipe out the drug trade with his own brand of justice."